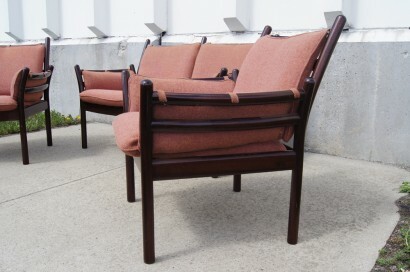 This stylish suite, designed by Illum Wikkelsø and manufactured by CFC Silkeborg, comprises a settee and two armchairs. 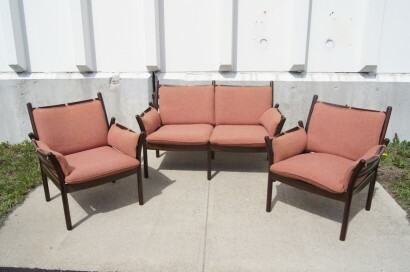 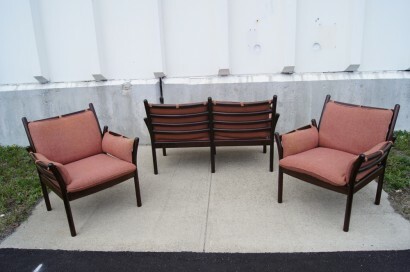 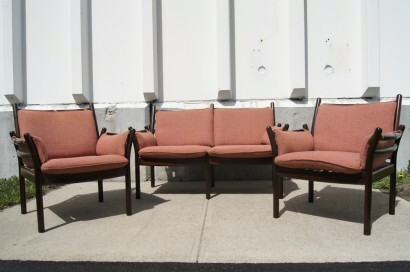 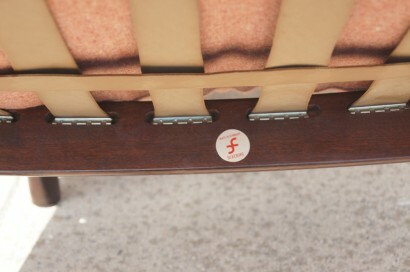 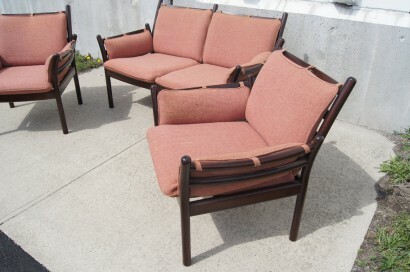 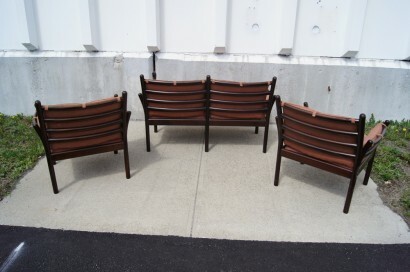 Original fabric cushions tie onto sleek mahogany frames with a ladder-back design. 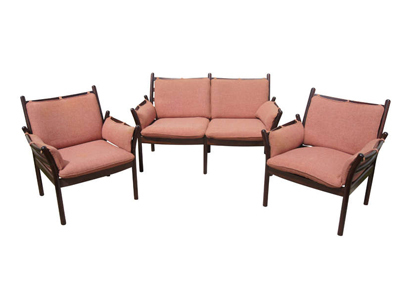 The armchairs measure 28″ W x 24″ D x 30″ H. The settee measures 50″ W x 24″ D x 30″ H.